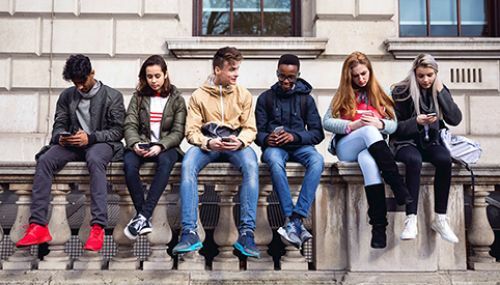 How has the Millennium Cohort Study (MCS) aided government understanding of the social inequalities faced by young people today? Founding Director of MCS and Emeritus Professor of Economic and Developmental Demography, Heather Joshi and Professor of Economics and the current Director of MCS, Emla Fitzsimons explain in an IOE London blogpost. In his speech to the 1999 Labour Party conference Tony Blair compared two babies in adjacent beds on a maternity ward, delivered by the same doctors and midwives but with two ‘totally different lives ahead of them’. One returns to a poor home where life is a struggle and potential ‘hangs by a thread’. The other returns to a prosperous home where ‘potential and individuality can sparkle’. New Labour rhetoric was accompanied by a strong push to understand better both the reasons for such disparity in life chances and how they might unfold. Blair’s government backed the Millennium Cohort Study, which the Economic and Social Research Council commissioned. With further support from government we were able to sample some 19,000 families with a baby born in 2000-1 and have interviewed participants six times. The latest survey from which results will become available in 2017 is at age 14. The next will begin in 2018, as millennium babies reach the age of 17. So what happened? The evidence from the first 11 years of the Millennium cohort found that even when there were many positive developments for the living standards at the bottom of the distribution, inequalities of opportunity – gaps in attainment between the richer and poorer families – persisted. We can say that some progress was made towards the goal of minimizing the number of children living in families below the various poverty lines, but with the recession and ensuing austerity the push stalled in the second decade of the new century. The Cameron coalition government diverted efforts into the enhancement of life chances, from equality of origin to equality of opportunity. The challenge of unequal life chances was recognised by Theresa May in her speech on arriving in 10 Downing Street in July 2016 and again this week as she outlined her vision for a ‘fair society’. But we do not yet know whether the gaps within this particular cohort will narrow or widen as they pass through secondary school and beyond. They will be the first cohort not to able to leave full-time education at 16; they also face cuts in services that support young people in communities. How they start to diverge in post-16 transitions will be revealed in the next survey of the cohort, when they are 17. Whether their unequal origins continue to determine different tracks in adult life will only be known as future surveys take place. As the many-faceted life histories of this cohort continue to be collected (motivations, qualifications, jobs, families, home, health) they will add to the picture for policy makers and historians of the future. How about children born later in the twenty-first century? Will they be able to rise above the obstacles presented by the stubborn child poverty rate? A major objective from the outset was to seek evidence on ‘who overcomes inauspicious beginnings and who fails to capitalise on inherited advantage’. The story is that formidable inequalities continue to underlie the social fabric, but that individual parents and children do pick their way through with varying degrees of success. Although opportunities may be unequal, the odds of success are not impossible. Although fewer children in poverty get high scores, some do, and some may yet appear as rising stars.